JOHNDAPPERCLOSER – Page 12 – Sales Tips. The Corporate Lifestyle. Being a tourist in a destination which most of the establishment signs are in Mandarin or Cantonese characters, hunting your subjects turns to be more exciting. When we had the rove around the recently Michelin cited 23 Hong Kong street food outlets, we had noticed the following helpful ocular traits to notice in order to validate your quest and chow down exactly in one of the street food outlets recognized by Michelin as deserving to be in their Guide for the FIRST EVER Street Food Section. Note that when you vaguely understand the direction of your Google map and you are not able to see the Michelin seal sticker in the facade, these five could help you as confirmatory spots. It goes with the recognition of these outlets that they are serving really good food. Thus, patrons do not care how long they will be waiting just to indulge in the quality of food to be served to them. Locals are enjoying the queue, day and night. We have never seen anyone irritated nor annoyed while waiting for their turn. It seems like everyone understands that they have to wait just to taste the food. When I asked a young professional next to me, he said that falling in line, no matter how long would that be is already part of the culture when you want to immerse yourself in Hong Kong street food scene. Most of these stalls open by 12 noon and close at 9pm. (LEFT) 7:03PM, Locals who have just logged out from work fall in line for the EGG WAFFLES of LEI KEUNG KEE in North Point. (RIGHT) 10:43AM, Locals from blocks near market in Sham Shui Po queue for HOP YIK TAI’S RICE ROLLS. Yes that’s me falling in line for the second time while chowing down our first plate. The sauce is really magical. It’s like a more watery mixture of peanut butter and soy sauce. I chose a chilli version for our second serving and that made our lips really hot red. Stores might have both the line and the flock or just either. For those who serve “take away” only or does not have enough space anymore for those who wanted to dine in, you would find an obvious flock of locals waiting for the call of their food being packed. “Take Away” is their term for take out. Just like seeing the locals patiently waiting in the queue, this scene would really make you rationalize that these stores really are worth listing in the Michelin since their food are really being patronized compared to other street food stalls on the same block or others who offer the same menu. That simply means they are serving distinctly delectable food. (LEFT) Young professionals and students from nearby schools in Kowloon City, waiting for their “take away” SATAY-NASI GORING meals in LAN YING. (RIGHT) Ppy smirks with impatience while Hong Konger ladies flock in front of KEI TSUI for their CANTONESE PUDDINGS. She’s just waiting for her turn for a 12HKD-WALNUT COOKIE. As their signage is written with a non-English font, reaching these stores is not really that easy. What they post though on their walls would help you validate your quest. Aside from locals, HK celebrities have also invested their time to taste how sumptuous these recognized street foods are. Actually, these personalities have long appreciated these foods way before Michelin did their list this 2016. Printed articles from blog features are also being posted. In fact, we have confirmed that we have arrived at Soupreme, in Tai Ko Tsui when we stopped awhile and read some of the articles in their glass wall. 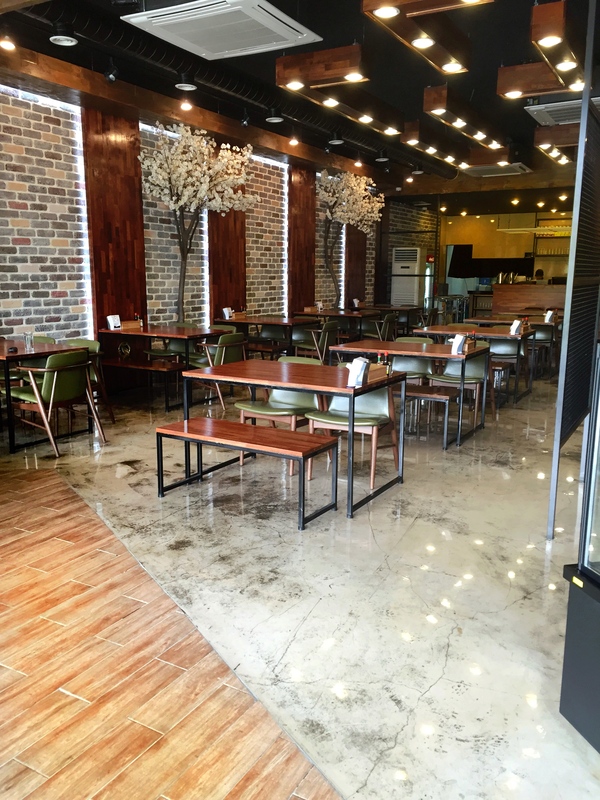 (LEFT) Among the 23 outlets, DOGGIE’S NOODLE in Jordan which is famous for their FRIED PORK FAT NOODLES, has the most number of arrayed celebrity pictures that stretch from their order counter to the walls of the dining area. (RIGHT) Those printed blog features are indeed helpful tools to identify SOUPREME in Tai Kok Tsui since obviously in the photo, their store streamer is even slightly detached. The relieving feeling of sipping their signature CANTONESE DOUBLE BOILED SOUP compensates the hard to hunt journey though. Really worth the searching, especially when you eat it with their drunken eggs in a wintry breeze. For those stores which possess a part for dining, it is noticeable that the tables and chairs are always almost occupied. Locals just simply have to stand minutes after partaking their orders since others who do not choose to pack their food for take away, earnestly wait for a table to be free. If there is a third sign next to enjoying the QUEUE and patiently waiting in the FLOCK that I am really appreciative with the discipline and kindness of Hong Kongers, It would be this. They are selfless enough not to stay longer seated, seeing others who are waiting to eat. This scene may be true to all Hong Kong restaurants, but it is in these few Michelin listed stalls where you could really appreciate it more since a lot of locals really lord over it. (LEFT) Inside KAI KAI in Jordan which is known for their GLUTINOUS RICE DUMPLINGS IN GINGER SOUP, there’s an assigned personnel who supervises as to where a just arrived guest shall seat. (RIGHT) Just in front of Kai Kai is DOGGIE’S NOODLE, though has a more street stall appeal as chars and tables are just assembled almost occupying the side walk, the influx of customers are equally overwhelming. When we finished the collage of the facade photos of all the Michelin street food stalls, this was a common characteristic we have noticed, their business names are all in RED font. To be precise, 16 out of the 23 outlets have Red or shades of red colors in their signage. Especially those stores which have been really existing for significantly long years, their streamers are as simple as red letters in white background. (LEFT) KUNG WO TOFU in Sham Shui Po is so identifiable despite of the street market tents in front because of the bold red-white combination of its streamer. Their PAN-FRIED TOFU SNACKS opened my appetite to start eating tofu not just because it’s healthy. Yes, because their recipe just made tofu taste not tofu. (RIGHT) The back lighted red-yellow design of CHIN SIK in Tsuen Wan is very effective in catching your attention strategically so it wont be out shined by other signage nearby as it is found just beside a big shopping center. CART NOODLES here are perfect for a colder breeze being in New Territories. Try it with their chilli paste. The palate memories from the foods served from these recognized street food outlets would definitely pull you to visit this gifted island state again. However, that particular behavior you have acquired of searching for a food house that thoroughly stretches your senses and that rewarding emotion of finally arriving and eat an internationally acclaimed meal? That made this wander indelible and such a unique, “checked-as-done” itinerary in our patented bucket list. You will be stuffed from head to the stomach, to the sole. The “Gossip Close”. Well, this is a personally coined term for Third Party Story as I wrote this post. Third Party Story or TPS is one of the tools of the trade which sites a commonality of a previous buyer to that of the latest prospect in order to encourage a purchase. (1) Time Element of the previous purchase (Urgency) (2) Real Names Of Buyers (develop a mental database of buyers) (3) Commonality that’s further articulated with emotions, logic and kinesthetics (common discomfort, same demography or occupation similar situation or objection) (4) Mental Pause and (5) Closing through Handshake. So how really to let them buy through the story of the previous buyer? Here is an example spiel to let you appreciate the numbered points after. Truer than ever, prospects like it when you to talk about them. Their success, their family, anything that turns their hot button. On the case of TPS, you talk about a person whom your prospect could identify himself through a similarity. Identification in Psychology, is a largely unconscious process, often a defense mechanism, by which an individual takes as his or her own the characteristics, postures, achievements, or other identifying traits of other persons or groups. This is exactly what TPS wants to trigger. To ignite a mental suggestion to the prospect that the people who availed the offer were humans who have similarity with them, like same essence of the problem existent to them or any identifying facet. This is then reinforced by the emotional aim of Empathy. In the case of the similarity of existent discomfort, Empathy lets them behave that having such problem isn’t comfortable and the advise you are about to pitch will relieve them from the discomfort. The identification of the prospect on the similar existent problem of the previous buyer is contagious to identifying of the prospect on the similar solution availed by the already buyer. This strengthens their interest on the journey of understanding that your offer is the solution to the felt need. Thus, subtly persuading them that they need your offer and tickles them to actively listen, cooperate and contemplate as you pitch. The Identification-Empathy tandem is the foremost of the psychological aim of the Gossip Close. As you turned the prospect high that there are also those who have experienced same or even worse challenge than them and had triumphantly deciphered a solution for it, This ignites the emotion of belongingness. That they are in the same group of vulnerable humans who could actively do something about their discomfort. This inspires them to be confident on asserting for a sound solution. This challenges them to mend their discomfort through your offer to feel that they are one of those educated choosers who solved their needs. That is actually belongingness in a continuum. From accepting same problem through identification, to the confidence on the journey of getting the problem solved and to the rewarding relief of deliberately ending their discomfort with an educated choice (your offer). It is showing what your offer could benefit to them according to a real person whom they have identify with. TPS serves as an effective situational demonstration of how exactly your offer is used to help achieve a real solution from a real person. This also strengthens your appeal being an expert on how your offer was proven to be a better solution as done by the previous purchaser. They feel that it is already them applying your product’s benefits and features to mend their problem because of the identification your TPS has caused to them. Involvement here has become more effective since it doesn’t sound like a too-good-to-be-true, canned-pitched benefit from a salesman who hungers a deal but rather a virtual image of them using the feature and feeling the benefits like the previous buyer you have mentioned whom they identified with. TPS serves as a testimony of both trustworthiness to you and the company . Furthermore, proves your compassion using your product expertise, to help. This lets them perceive you as a competent teacher to their recently identified problem. They are giving to you not just the permission to help them the way you helped a previous “like them”, but as well as their confidence of exchanging their hard earned money to the benefits of your offer proven to be effective from a buyer who are “like them”. TPS gives you then authority. Objection connotes “tell me more why I should get your offer”. In order to play cool and not too pushy in overcoming objections, TPS is your subtle tool. Prospects never want to be stabbed to the idea that they are wrong in their objections about your offer. Thus, letting them know that there are previous guests who thought same way they do, relates that you understand their point and their concern is normal and was previously resolved. This convince them that their apprehension about the product was manageable as evidenced by the experience of a previous “like them” who availed the offer and is in fact enjoying purchase. Human ears are good for only 20minutes. When you aren’t able to dramatize your pitch, then it basically turns to a preach. In order to make your pitch interesting and compelling, present it novel-like with TPS. Amusing them with the same exact plot where they are, with engaging characters similar to them in an exciting journey to a happily-solve-their-problem ever after. You could close gracefully through the Gossip Close. Closers need to be good writers when using TPS. Gossip, on this context connotes as a sales tool. A decent, pro-to-your-offer kind of gossip. Then, Closers have to be good monolog speakers too. You have to deliver the TPS script splendidly. Just like in theaters, audience choose which story they could empathize and identify. Trophies and sounding applause are given to the actor who portrayed a character the most convincingly. The box office bursts to which story best entertained. Selling the story (not just telling) of previous buyers is an affecting art to fortify weight on you pitch. It is an imperative whenever you want an articulate process of closing. Celebrated as TripAdvisor’s 2015 Traveler’s Choice Awardee being the Best Beach In Asia, unarguably White Beach, Boracay Island of the Philippines has really the most severe dissociative effect to someone who would choose the beach life over the stressors of reality. Since ranking of beaches was startled, Boracay had never been lowered from the first ten spots. So what keeps it on the list aside from the expected and praised powdery sand and superb sun-sinking-in-your- horizon views? I think, it is how the Island’s distinct fame are modified. Tagged as the station for the mid class, ironically Station 2 recently has been a cradle of a private gem. Deep inside the premise of Crown Regency Resort and Convention Center, tourists would deliberate whether or not they are really in a close encounter of the World’s biggest Pearl ever discovered in the waters of the Philippines. 8.9kgs, 8 inches diameter. Admired by those who wanted to be solely intimate with the beach away from the crowd, station 3’s brand has always been for the loner beach lovers. It has been venues for pre nuptial pics and sunbathing while reading your favorite book. Recently, St3’s whispers will be chopped with electrifying screams from the reverse bungee. Imagine a giant swing but it doesn’t sway. It just bounces up and down while coaster is suspended in the air with its elastic cables. Being the only beach mall in the Philippines, D mall itself is an only-in-Boracay spot where aside from shopping and eating out, is a perfect spot for people watching and free fashion runway of beach goers on their beach town outfits. However, there are just 3 to 6 quirky clad humans whom you’ll be confused with being mannequins. They are the phenomenal photo mates found just near the entrance of Tides Hotel Boracay. Any beach party goer would agree that thus far, Epic Bar at the junction of stations 1 and 2 is the most respected beach rave authority of the island. Well having that reputation, Epic’s dance floor is jam-packed almost nightly. With such stimulus, other party goers ignited a bonfire fronting the bar where they could still dance with the music from the bar’s mega speakers, still let drunk with the bar’s liquor, still meet the bar’s teasing inter racial guests. PUKA BEACH with You. Yes You! Ranked as 5th Best Beach in Asia, Puka Shell Beach in the northern side of the island embraces those who wanted a break from the mainstream of the three stations. The leftmost shore have equally impressive beach views with that of the white beach, only with courser sands, without the hotels, bars and restaurants. The rightmost shore is bizarre, that facing the Carabao Is. Romblon. The waves are mildly wild crushing the colossal stone formations along the shore. Puka beach for me is the best beach in the Island. However, its glory is shaded with the popularity, accessibility and commercialization of the white beach stations. Thus, it takes you to visit there. Take more pics and upload it to your cyber profile. The stone islet existing like a mole along the shore of Station 1 has long been famous for picture taking. And So, why not dramatize your photos with you being a mermaid with the trendy mermaid suits! This so called 24/7 island has always a lot to be marveled for. It is not just its natural morph worth to be titled as the Best. Along the coming years, it could also be appreciated that the Island’s world class features are malleable enough to adjust with what kind of spice the emerging touring populace would love to experience. Making it a tamed but still natural pandemic entry of every traveler’s bucket list. Don’t be left out with the trend. Visit Boracay. Now. When you’re done conveying how your offer helps your prospect, it’s always been part of the selling process to let your prospect appreciate the corresponding value of the solution you are proposing. Negotiation has always been a very exciting phase of the sale. Pride for the tagged price while negotiating on the other hand, makes it a sizzling phase. Most of the sales people just negotiate. On how to negotiate the price with tactful pride, these what closers do. 1. BEARING AND WORDS. Pride is reflective on how we bear self as we discuss the price. Facial expression, gestures, motion, voice dynamics these all affects your presence and determines your confidence. Just be vigilant on the difference between being arrogant and intimidating to being confident that the offer is justly tagged to the benefits it provides to any interested guest. Filtering words that sound not being pushy makes it coherent to being proud of what you’re offering. Play with communication elements that sound like you are pulling them away from the Rubicon of enjoying the benefits of the purchase. 2. MY OFFER IS REASONABLY PRICED. Values of any offered product or service is regulated directly or indirectly, either with an assigned authority or benchmark among competitors. Thus, there’s no such thing as over priced or under priced. It is then be reinforced with haggling skills that let prospect realize that your offer is priced just rightful as the urgent ease it gives to their discomfort. Reasonability lies on how buyers equate the tag to the personal essence of the bag. 3. MY OFFER IS THE BEST OF ITS KIND AMONG EXISTING IN THE MARKET. There is no other offer with an identical feature that gives you same or even lower cost. It will either be lower cost for a lower quality or higher cost for a higher quality. This is the only offer that comes with higher quality in a just cost. Elaborate the selling point of the product specific to the prospect in order to justify the “higher quality”. Intensify such “higher quality” versus any other offer from any other agent by spicing it up with your personal elements like you being credible, an expert to the product or you being an advocate for post sales services. 4. TAKE AWAY. Let them feel what they are missing out after tactfully presenting how your offer improves their aspirations. Play hard to get and appear like you have since accepted that not all you have offered with this price really could afford and avail it. It’s an exclusive deal. The offer doesn’t fit for all. 5. SAY “NO”. When the prospect haggles so low from your offer, though you have let them realize how worthy the value, learn to say No. Let them feel the fear of loosing your generous offer. Discount (lowering the price) never exists to deteriorate the appraisal of your offer. It exists to let the prospect feel relieved from a too high preconditioned price rooted from an appreciation of a too beneficial solution of their urgent felt need. Learning what your product could benefit to your prospect is a an elementary responsibility being in sales to ignite an afire involvement during your pitch. As you want to be an ace closer, develop the sales technique that gears up the synergy of your product knowledge and being proud of the price as you drive the negotiation to a deal. There’s more to this warning than being careful. Sometimes, it simply suggests to look what meets your gait down there. People choose the way where we are walking in. We are able to choose through looking at it whether by far as we approach our destination or just simply looking down to check where we are at the moment. Whatever is catchy to our eyes affects where our next step is that leads to where we wanted to be. I am not even an expert in the coalescence of interior designing and marketing. 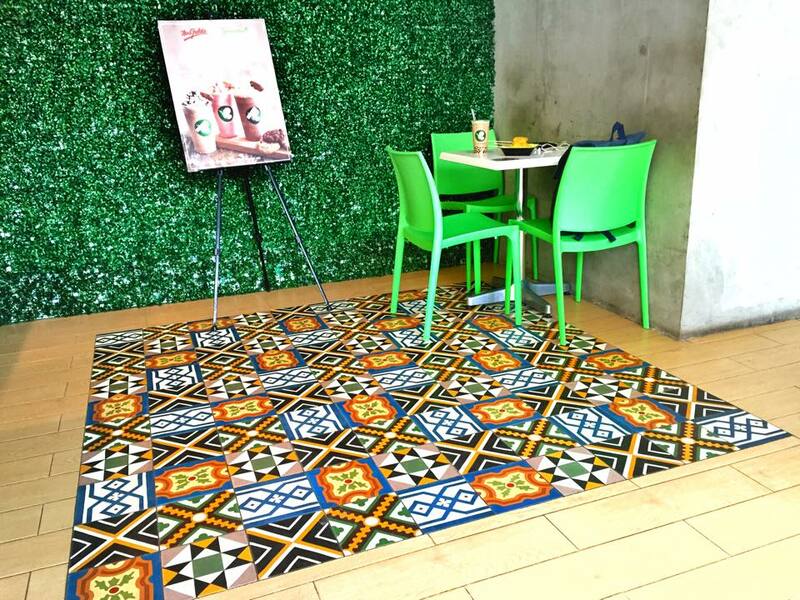 However, in almost every off-day I spent in cafes, those which I also admire their floor materials of course, and with the sprinkle of sales theories incurred from work, I happened to notice the behavior of customers relating to the floor characteristics they choose to trot in. A natural, so human response as basis on the latest trend on sales and flooring. 1. Set JUST fronting the counter. This is where the guests queue for their orders. This attracts them to approach directly near the counter without being too obvious that you want them to swiftly choose and pay their orders as they near the cashier. They are simply pulled (not pushed) to the sales by the optical attraction. It simply signals that there is the finish line. That’s what you are here for and there’s a monetary exchange of what you have chosen. Orient your crew to ask a choice close question from your offerings whenever a guest consciously or unconsciously stepped in the flooring. Hot or Cold? Snacks or Heavy meal? Not “How may I help you?”. It is even ethical to ask since the floor is fronting the counter right? It is an assume close that they will cast their orders since they are already standing front of the menu just above the cashier. 2. PATTERNED LIKE A PATHWAY/ ISLE/ POINTING from the entrance to the counter. This shows warmth of welcome, belongingness and confidence of knowing which way they go. This is even helpful when owners don’t have a lot of service crew who welcomes and escorts guests toward the counter. The guests feel every step they are taking without realizing they are simply guided going towards the counter to start the sales relationship sooner. This avoids them from sitting first on the chairs or go to the powder room and might change minds for another cafe. 3. SET IN AN ONLY CORNER/ TABLE. After gratifying their choices at the counter, it’s time now to experience the table memoirs. There must be one corner where there is a unique flooring. Not all customers could step in whenever it’s already occupied. It triggers envy to other customer and curiosity on how does it feel being on that spot. They will remind their brains to be back and be the first to sit next time. The it-is-not-for-everyone kind thing. This is more of an ego stimulation. 4. TABLES NEAR WHERE THE AD STANDS for newly launched menu inclusions. As they stay longer because of the comforts and exclusivity that floor emits, they could glance through the new offers and would be triggered to try it from being lured of frequently looking to it. Curiosity and information in one plot drive to a new sale. Guests are simply clung to that corner nearer your promotional materials because of the floor effect compared to those on the farther/ to the rest of the other tables. The satiety and taste and service of your offerings and personnel respectively are totally another substantial stories. Consider those enumerated. Even flooring of your establishment says something to your daily yield if not, gives great anabolism of your hard earned capital. And remember always keep these floors tidy. This is now one of your trademarks and it should be walk-able whether with a footwear or just mere soles. Trust me, those really work. Those what I always feel whenever there’s a new cafe, with extraordinary flooring around.